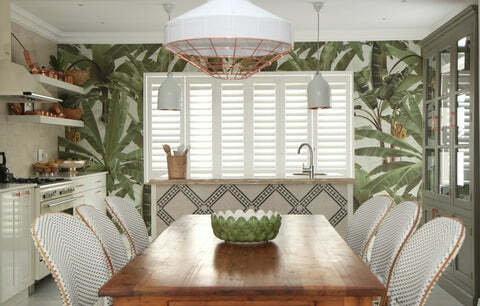 Whilst the Portchester range looks just like our normal elegant plantation shutters, there’s one clear difference. They also have a lock and key. Manufactured in South Africa, where home security is a high priority, these robust shutters are designed with both protection and poise in mind. With our new range of aluminium shutters, you have an elegant alternative to installing heavy traditional security grilles, roller shutters or burglar bars. These options may provide robust protection against intruders, but they aren’t always the ideal solution: they often block out the light and can look severe and industrial. Also, aluminium shutters are a great solution for external installations, because they can be locked from both sides. 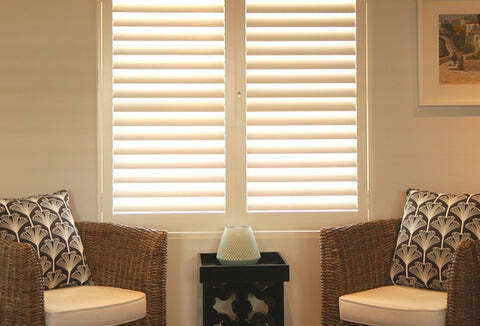 They are also very durable and hard wearing, essential for external shutters. With our Portchester range of aluminium shutters you can have security without compromising on style. Security grills or burglar bars will never look so nice! 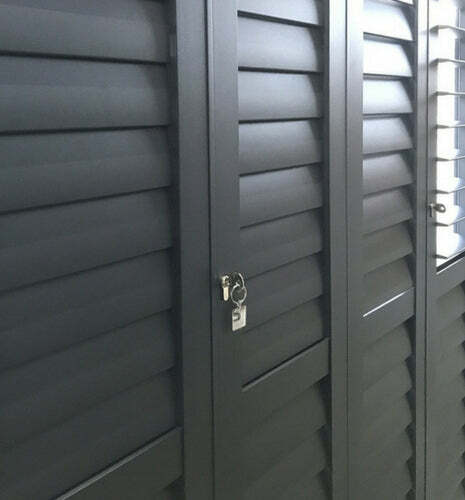 The Portchester range of aluminium shutters is equipped with a hidden tilt rod, so you the louvres can be operated by hand rather than by moving a rod up and down. This creates a sleek, modern design with elegant contours and clean lines. When locked, the louvres still work as before but the shutter panels can't be opened. Aluminium shutters can be fitted to many different window types. They are available in hinged, bi-fold or bypass style. When the window width require more than two panels, they will require a tracking system. Book a free appointment today and we will arrange a visit to your home to suggest you the most suitable solution to your security requirements!